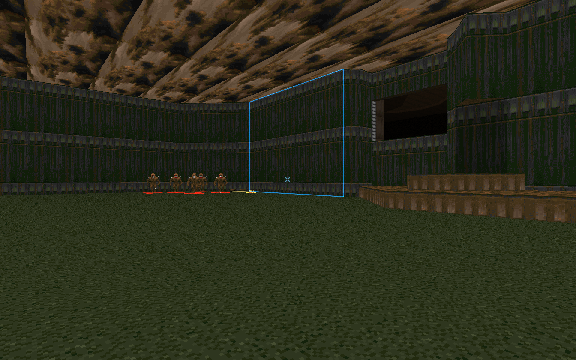 SLADE started off as a map editor for Doom games, primarily to provide a 'modern' alternative to Doom Builder that would support different editing styles and (eventually) run on non-Windows operating systems. Over time it has been completely rewritten on multiple occasions, each rewrite corresponding with a new major version number. 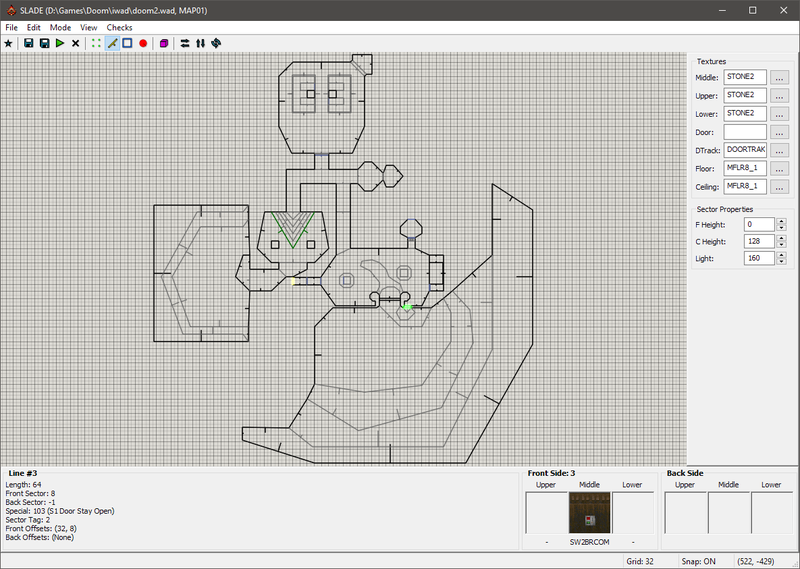 SLADE 3 is a different beast altogether, initially being written as a revamp of my other wad editor project SLumpEd, with plans to then re-incorporate the map editor part to make it an all-in-one Doom editor. With the release of v3.1.0, the map editor part was added and with it the basic goal for SLADE 3 reached. There is still a lot left to be done, though, and it is a currently on-going project. The SLADE website can be found here. It is also an open-source project, with the sources up on GitHub. The very first iteration of SLADE was fairly experimental, feature-wise it had most of what Doom Builder offered at the time, however the interface was very much inspired by old DOS editors such as DEU and DETH. 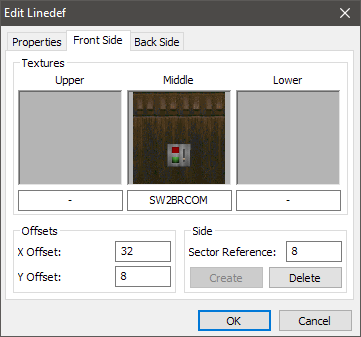 Before any editing you would need to use a command line interface to open a wad file, then in the editor any property modification was done using custom-drawn text menus - it was pretty unnecessarily clunky to use. Version 0.6 introduced slopes preview in 3d mode, which made it the first editor to have this feature (I was pretty proud of that at the time :P). I have kept the old SLADE v0.x website up for archival purposes, which can be found here. Some screenshots of SLADE v0.6 in action. 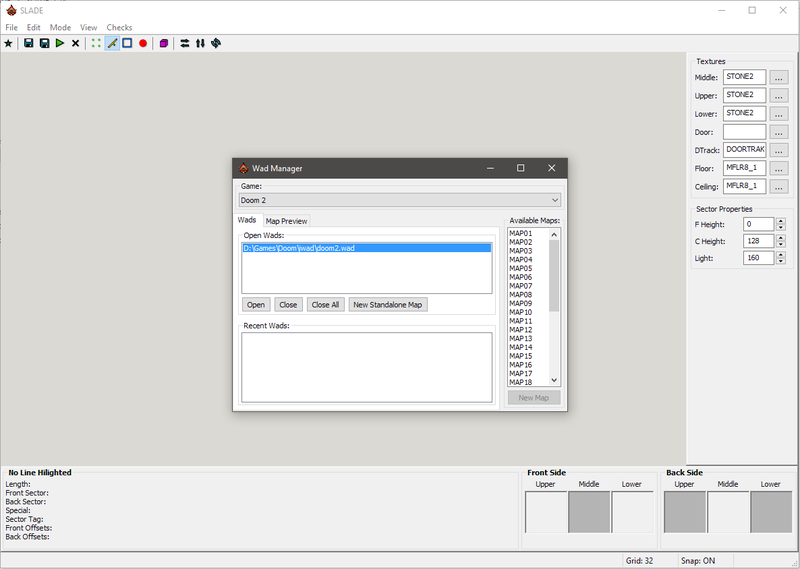 After v0.6 was done I started on rewriting SLADE using GTK for the user interface, while keeping all the editing features. 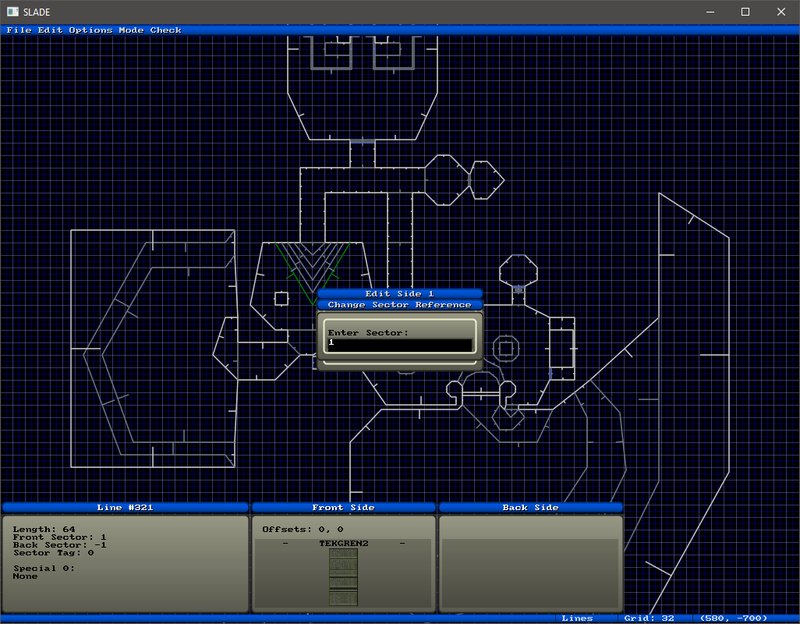 The command line interface was replaced with a Wad Manager dialog, and the editor window itself based more on Doom Builder than older DOS editors like v0 was. Eventually it became apparent that GTK wasn't so great in Windows, as it did not use native controls making the interface look out of place. So, following the release of v1.02, I started porting the interface over to another UI library, wxWidgets. wxWidgets had multiple advantages over plain GTK - it actually uses native controls in Windows (and OSX), and is C++, which is what SLADE was (and still is) written in. At the start of 2006, v1.1 was released, followed by 1.11, 1.12 and 1.13 during the year. After v1.13 I ended up deciding to rewrite SLADE yet again, for some reason I don't actually remember. The rewrite improved many things with the editor, speed in particular, as well as adding pk3/zip support. It also featured advanced line drawing capabilities, allowing lines to be drawn crossing or overlapping other lines while still creating correct sectors, which no other editor could do at the time. In mid 2007, SLADE v2.0 beta 1 was released. This ended up being the only release of v2, as not long after I lost interest in it for the most part. Eventually I regained interest in working on SLADE, but found that 2.0 wasn't really written too well and was difficult to just pick up and continue. 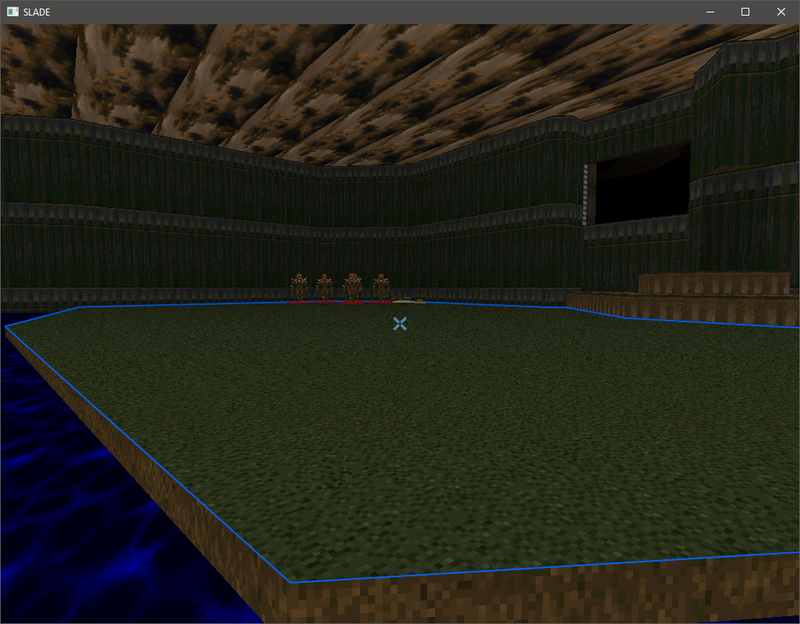 So, rather than simply rewrite the same editor again, I decided to do something different this time. 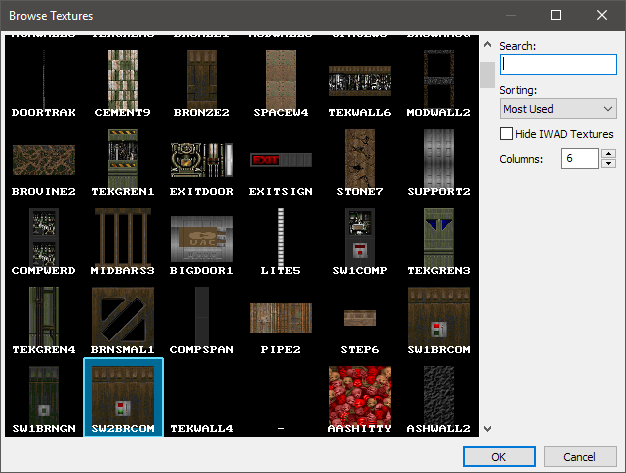 Previously I had been working on another Doom editor for wad/lump management called SLumpEd, which I had also lost interest in similarly to SLADE v2. 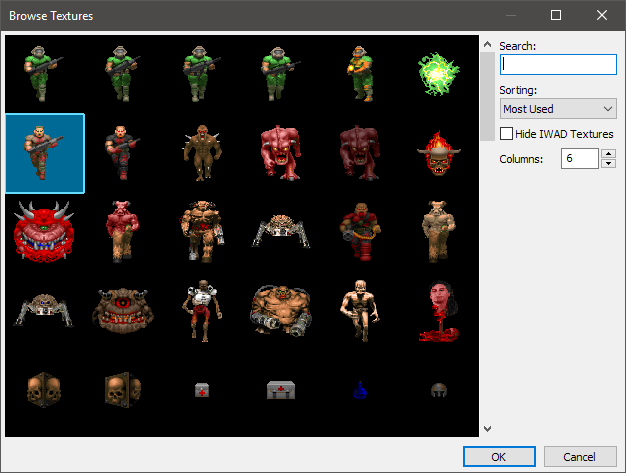 I figured, why not merge this with SLADE, and create an all-in-one Doom editor? 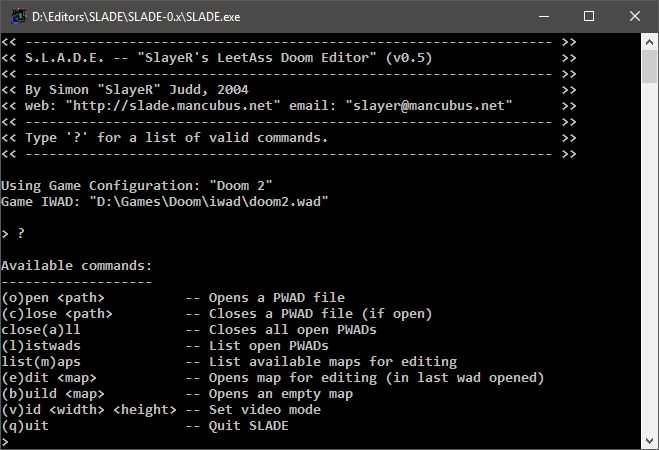 So, keeping the SLADE name and swapping the "It's a Map Editor" tagline out for "It's a Doom Editor" (seeing as the acronym still fit), SLADE v3 was born. In early 2010 the first beta release of v3 was put up, which gained a fair amount of interest as SLumpEd was seeing quite a bit of use. I also began receiving code contributions from Gez, which helped a lot early on (and still does, obviously :P), with support for many other game formats, among other things. Finally, nearly a year later, v3.0.0 was released. This first release covered everything SLumpEd could do and much more, though with the noticable absence of the map editor part. 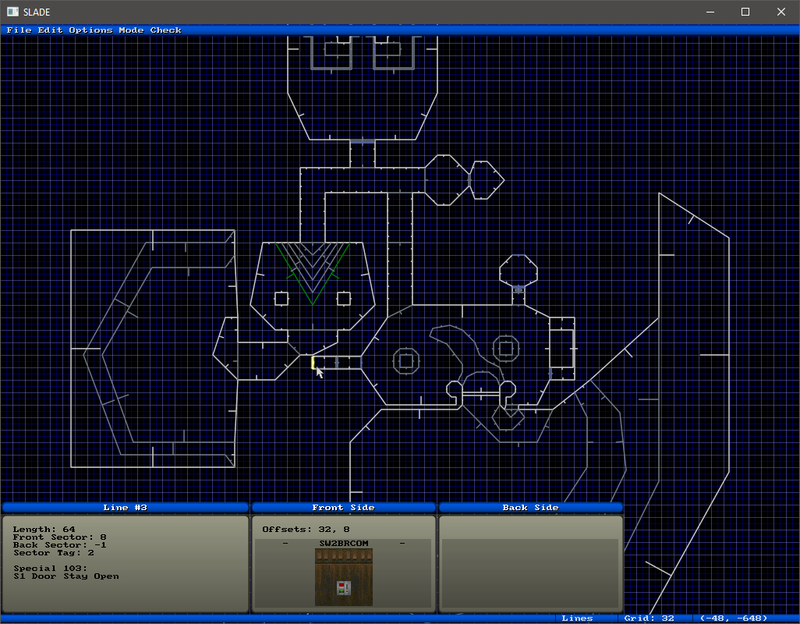 The map editor ended up taking a lot longer than I would have liked, finally being released with v3.1.0 in 2014, more than 3 years after the initial release. As of v3.1.1 (2016), the v3 map editor can do pretty much everything the pre-3 versions could.